Barcelona have set their sights on Manchester United forward Marcus Rashford. 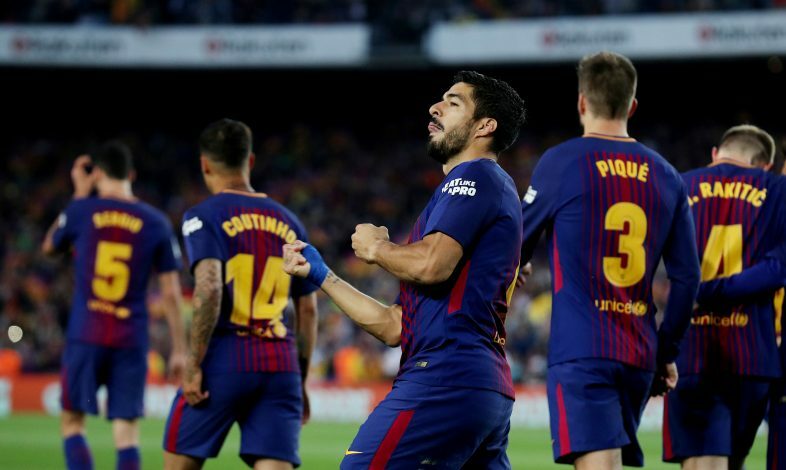 Star striker Luis Suarez hasn’t been performing as per his usual standards for the Catalan giants. The 32-year-old has been on the scoresheet less frequently this term, and age seems to be catching up with the Uruguayan international. The former Liverpool superstar has scored 18 goals in 27 La Liga games so far this season. However, he has failed to find the back of the net even once in the Champions League, wherein he has made six appearances so far. The drop in his quality has led the Camp Nou outfit to look for potential successors, and as per Spanish outlet Mundo Deportivo, one candidate already on their radar is Manchester United starlet Marcus Rashford. The young Englishman has been in stunning form this season, especially under the Red Devils’ new interim manager, Ole Gunnar Solskjaer. While Barcelona believe the 21-year-old possesses the technical ability to lead their frontline for the next decade, they are also aware of the fact that it will be extremely difficult to convince Manchester United to sell their prized academy graduate. Barca remain hopeful of signing Rashford for a discounted fee, especially with his current deal with the Old Trafford outfit set to expire at the end of the season. The Mancunians do have the option to extend it further by a year, which could complicate things for the Spanish club. If the chase for Rashford ends in failure, Barcelona have two other alternatives ready to pursue, in the form of Atletico Madrid superstar Antoine Griezmann and Eintracht Frankfurt’s talented Serb, Luka Jovic.